History probably comes easy for students in Ste. Genevieve, Missouri. Founded in 1735, this famous town lives and breathes its heritage as the oldest permanent European settlement in Missouri. The city has worked tirelessly to preserve its history and its status as Ste. Genevieve National Historical Park was authorized by Congress in 2018. No detail is too small for these founding fathers. As part of a window replacement project for the Ste. Genevieve R-II School District, KRJ Architects sought to preserve the historic look of the schools, using a number of different window systems from Winco Window Company for multiple school buildings within the district, including Ste. Genevieve Middle School. The stately Middle School dates back to 1935 and required special considerations due to its age and historic appearance. The school district wanted to maintain the large size and window pane configuration while having windows that were easier to operate and energy efficient. The proposed window design was reviewed by Ste. Genevieve's Heritage Commission to ensure that the historic appearance was preserved and would complement the city's goals for preserving Ste. Genevieve's special character. Winco Series 4410H was chosen for both fixed and single hung conditions. The windows included special balances for ease of operation, thermal breaks and insulated, low-E glass for better energy performance. Applied exterior muntins emulate the building's original appearance while reducing air leakage from individual glass panes and the extra maintenance required to clean small panes of interior glass. For the students of Ste. 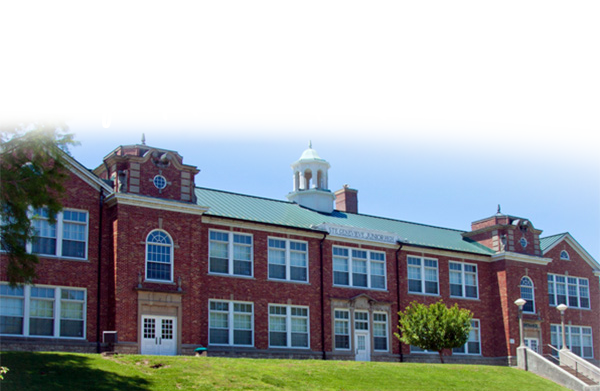 Genevieve Middle School, the durability, quality, and finish of the school's new windows just might make cracking those history books a bit more pleasant.